This funding opportunity to support the Mayor’s Community Weekend is offered through a partnership between the West Midlands Combined Authority and The National Lottery Community Fund, the largest funder of community activity in the UK. The aim is to bring people and communities together, to celebrate the experiences they share and make new memories. Encourage people from all walks of life to build stronger community bonds, embrace community spirit and celebrate diversity and may include, for example, a street party, a sports festival or a picnic in the park. Be led by people i.e. people in the community are part of the design and delivery of the event. Have a long-term vision, with plans for what will happen afterwards, looking at how relationships will be sustained. Anyone can apply – fully constituted organisations, small informal groups that already exist, or even just a few people from a local community coming together for the first time. Events will take place in one of these areas within the West Midlands: Birmingham, Coventry, Dudley, Herefordshire, Sandwell, Shropshire, Solihull, Staffordshire, Stoke-on-Trent, Telford, Walsall, Warwickshire, Wolverhampton, Worcestershire. To apply for funding either submit a short video (up to three minutes) or a written online application (up to 500 words). Applications open at 9am on Friday 22 February 2019 and close at 9pm on Sunday 17 March 2019. 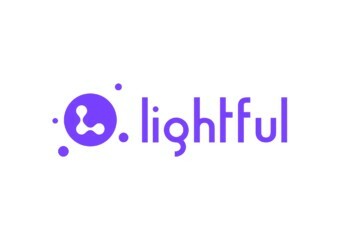 Lightful is a UK-based technology company for social good and is looking to run user research and testing sessions from February to April 2019 in and around Birmingham. These sessions will help Lightful to further develop its software platform and services for the charity and beyond profit community. Participants will receive a £50 Amazon e-voucher for one hour of testing as well as compensation for reasonable travel expenses. The aim of the sessions will be to further understand current ways of working as well as potential challenges and needs that you might experience with marketing or comms at your charity or beyond profit. If you’re interested in participating, please complete this brief form HERE and a member of the Lightful team will get in touch. The information you provide through the form will be sent directly to Lightful. The Department of Health and Social care has agreed £1.9m to be distributed by Public Health England (PHE) via a s.31 grant to successful LAs. The funding is to test a community based model that will improve access to health services for people with co-occurring mental ill-health and substance misuse needs who are experiencing, or at risk of returning to, rough sleeping. The plan is to fund approximately five projects and an evaluation. As part of the national #VisitMyMosque initiative, the Yemeni Community Association in Sandwell (YCA) is delighted to invite and welcome you to its mosque open day. The purpose of the day is about helping communities in building bridges and breaking down stereotypes. The YCA Cultural Centre is opening its doors on Sunday, 3 March 2019, between 2.00 pm to 6.00 pm. Drop by for a visit, friendly chat and some light refreshments. This free event is open to people of all faiths and none, so please bring your friends, family, neighbours and colleagues to our place of worship and cultural centre. Home From Hospital Care is a charity that provides aftercare for people who have recently been discharged from hospital. They support Birmingham residents in Birmingham Hospitals and, since January 2019, also support Sandwell residents who have been admitted to City Hospital. The charity was established in 1972 and aimed to enhance the safety of hospital discharges. Today, HFHC is an essential part of the discharge planning process. They work to optimise recovery, reduce loneliness and isolation and to enhance wellbeing. Their support significantly reduces the risk of re-admission to hospital. Volunteers help HFHC deliver the service and are most commonly involved in befriending and shopping, but there is also emotional help, benefits advice, aid to attend medical appointments, support with correspondence and form filling, a sitting-in service for carers and a cleaning and handy-man service. The service is for six weeks and it is free. Home From Hospital Care is currently recruiting volunteers in Sandwell. Following DBS checks and training, volunteers are matched with a service user who they support for an hour each week for a six-week period. Visits can be more frequent if the volunteer feels able to commit to this. At the end of the period of facilitation, the volunteer can take a break, or be matched with another service user. It is important that volunteers commit to the six-week period so that the support provided is reliable and consistent. Home From Hospital Care can help volunteers to gain an NVQ2 with Free Courses in England, in a range of subjects, including Falls Prevention and Working in Health and Social Care. An illness or injury and a hospital admission can be a difficult and life changing experience. Many people face this alone, or with little support. Having someone there in the weeks following discharge can reassure can transform lives. The Dan Maskell Tennis Trust has announced that the next closing date for applications is the 15th March 2019. • Coaching aids such as cones and throw down marker lines. In the case of wheelchairs, a deposit will be required. For individuals, the amount of deposit required will depend on the wheelchair type requested. Clubs will need to raise a deposit of around £250; depending on the type of wheelchair. UK based not for profit organisations and schools can apply for funding to the Nineveh Charitable Trust for a broad range of projects and activities that promote a better understanding of the environment and countryside, whilst facilitating improved access, education and research. Whilst the Trust does not specify a minimum or maximum grant amount that can be applied for, an analysis of previous grants would suggest a maximum of £5,000 per year for up to three years. The Woodward Charitable Trust primarily funds charitable organisations (charities, social enterprises and community interest companies) in the UK and can make grants for overseas projects usually via UK charities. Each year the trustees of the Woodward Charitable Trust set aside funds for summer playschemes for children between the ages of 5-16 years. Trustees only fund programmes that run for a minimum of 2 weeks or 10 days across the summer holidays. Grants can only be paid to registered charities. Non-registered organisations must give the full name and address of a registered charity who has agreed to accept a grant on their behalf. Priority is given to projects make good use of volunteers and encourage past and current users to participate. Applicant charities annual income must be under £100,000. The trustees will review applications in May.